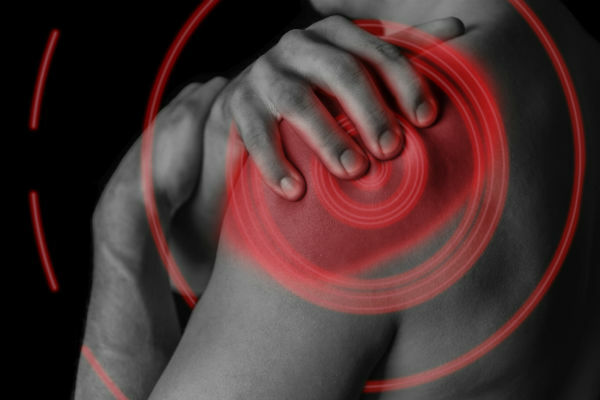 Adhesive capsulitis (more commonly known as "frozen shoulder") is a condition causing initial pain followed by increasing stiffness and eventual severe restrictions to motion at the shoulder joint. The aetiology of the condition is unknown, although it does appear more often in individuals over 45 years of age, with females at an increased risk. Chances of developing adhesive capsulitis (AC) are also increased in those with systemic conditions such as diabetes, cardiopulmonary disease and Parkinson's disease or in association with musculoskeletal injuries in the shoulder area including humeral fractures, rotator cuff pathologies, AC joint arthritis and biceps tendinopathies. The condition is divided into phases, dependent on the timescale and stage of the symptoms. During the initial "freezing" phase, the individual experiences a gradual onset of pain. This is described as aching at rest and at night especially, with sharper pains on movement into the extremes of range. This phase will usually last anywhere from three to nine months. As they progress into the frozen phase, the pain decreases alongside a gradual reduction in movement. Shoulder abduction and external rotation are usually the most affected. This stage may continue for a further three to 12 months. The final phase, known as "thawing" is a spontaneous, gradual reduction in shoulder stiffness and restoration of movement. The total timescale to progress through all three stages is anywhere between nine months and three years. This article will look at the most recent research in the field of adhesive capsulitis treatment, to update us with the current recommendations for those with frozen shoulder. The injection of corticosteroids into the affected joint has become a common treatment of AC in recent years. Research tends to show an initial improvement in pain levels, although the benefits are often short-lived with most studies citing a period of six weeks. For longer follow-ups, little difference is seen in those who received the injection, versus physical therapy. Inflammation is believed to be key in the early stages of this condition where synovitis is at the root of the pain. Corticosteroids reduce the inflammation associated with the condition and the development of adhesions within the capsule. Together, these benefits have the potential to reduce the lifespan of the condition. What does appear to be important in the administering of steroid injections is ultrasound guidance to improve accuracy. Blind injections allow for a considerable amount of error — with up to 60 percent placed inaccurately, which could have detrimental effects on outcomes. Physical therapy is the traditional and most commonly used form of treatment for this condition. This may include manual mobilizations or manipulations from the therapist, the use of electrotherapies such as low-level laser therapy, and exercises that are usually aimed at stretching the shoulder musculature and capsule. There is conflicting evidence regarding the use of physical therapy in cases of AC. Most recently, a systematic review found that in 39 articles published since 2000, a combination of exercises and mobilizations were strongly recommended for reducing pain, increasing range of motion and improving function in patients in the second and third phases of AC. Low-level laser therapy was also strongly suggested for pain relief and moderately suggested for function, although it was not found to improve range of motion. Acupuncture alongside therapeutic exercises is moderately recommended for pain relief, improving range of motion and function. Ultrasound therapy was not recommended for improving any of the above parameters. When physical therapy was compared to the above-mentioned corticosteroid injections, the steroid injections came out on top in the short term, with no statistical difference over a longer time frame. An anesthetic block is applied to the brachial plexus (causing shoulder musculature relaxation) to allow manipulations directing the shoulder joint into flexion, abduction and both rotations. These manipulations are controlled but forced into the end range of the joint. There are many risk factors involved in this aggressive form of treatment. These include dislocation, fractures, nerve palsy, soft tissue damage to the rotator cuff or labrum and traction injuries of the brachial plexus or periphery nerves. It is for this reason, that despite an impressive 75-100 percent success rate, this treatment is only used as a last resort. A patient will typically have had no success with more conventional therapies over a minimum six-month time frame before being referred for MUA. Capsular release looks to provide the same benefits of MUA, with a much lower associated risk. One or more structures surrounding the joint are cut — most commonly the coracohumeral ligament and rotator cuff interval within the contracted capsule. While inside the shoulder joint, the surgeon can also observe the joint for other lesions. Success rates are in the region of 80 percent. Sedeek and Chye reviewed a number of studies looking at ACR in the last 15-20 years and on the whole outcomes were successful. The aim of a suprascapular nerve block (SNB) is to temporarily disrupt pain signals to allow a normalization of the pathological and neurological processes responsible for pain and reduced function. There is limited high-quality research in this field, but those studies available show good results. A study by Ozkan et al showed significant improvements in pain levels and range of motion in those with AC and diabetes, for whom a corticosteroid injection had already failed. Favejee at al also found moderate evidence in the short and long term for the use of suprascapular nerve blocks. If performed in the early stages and under ultrasound guidance, corticosteroid injections can have positive effects on a patient's pain levels. Waiting until later in the process reduces treatment efficacy. A review of physical therapy treatment most highly recommends the use of exercises, mobilizations and laser therapy in the second and third stages of the condition. If less intrusive treatments are unsuccessful, there are surgical options available. Generally, they are not recommended until six months of conservative treatments have been adhered to. At this point, those with severely limited function may be suitable for such treatments as MUA, ACR and SNB.